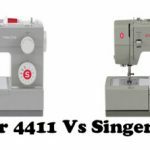 Brother PE540D – Is It Worth Buying ? 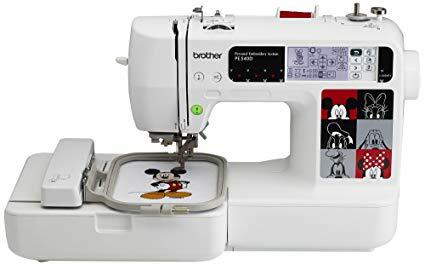 Brother PE540D can be a good bargain if you love Disney design patterns. Otherwise, there is a better alternative from Brother. 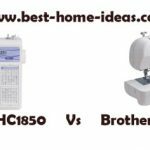 Brother PE540D is a recently released embroidery machine. 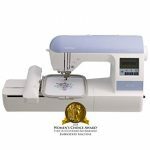 This machine is very similar to the old PE500, which was replaced by SE400 sewing & embroidery machine. The only thing that makes Brother PE540D different, is the 35 Disney Designs it has. The graphics on the machine clearly suggests what it packs. Yes, the pre-loaded Disney designs are the main attraction, other than that, the machine is pretty much same as PE500. 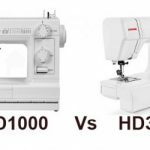 PE500 had 70 built-in designs, whereas PE540D has an additional 35 Disney designs, 105 built-in embroidery designs in total. It also packs 5 embroidery lettering fonts. A total of 120 frame pattern combinations are available on this machine. The embroidery area of Brother PE540D clearly suggests that it is a beginners embroidery machine. The maximum embroidery area is 4″x4″. The backlit LCD touch screen of this machine is a wonder on itself. While selecting a stitch, all the design options will be displayed. Once you select a particular design, the machine will tell you which thread color to use. The LCD display is very user-friendly, even a 5 year old would be able to use it. The screen brightness is also adjustable (this is not a feature that you normally get on machines of this price range). One good thing that Brother did with the display is that, they have included on-screen help tutorials, which means you don’t need to search for the user manual if you need some assistance. Even better thing about Brother PE540D is that it comes with computer connectivity, embroidery card slot and built-in memory. Basically what this means is that you will get access to over 5000 designs available at iBroidery.com. You can simply import those designs to your machine, in case you want more creativity. However, some of the designs need to be purchased. The supported design file format is .pes. As it comes with USB connectivity, you will get free machine updates as soon as the new version is available. The single LED bulb illuminates the workspace reasonably well. The automatic needle threader threads the needle in one touch. An automatic thread cutter is also provided. The drop-in bobbin with see through cover is very useful. The motor of Brother PE540D is capable of delivering 400 stitches/min. This is not the best speed by any stretch of imagination, but this is the best you can get in the price range. Layout function and pattern rotating are also available. The machine weighs around 18 pounds, so you can say that it is in the mid-range in terms of weight. 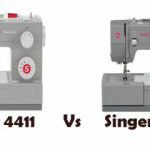 Setting up Brother PE540D would be easy, if you have some experience with computerized sewing machines. If you are a complete beginner, read the user manual completely before starting out. The user manual does need some improvement, but it is okay. It could have been more diagram based. Threading is easy. The LCD touchscreen is easy to navigate. The thread color recommendation feature is absolutely wonderful. While importing designs, make sure that you select and save them, otherwise the patterns will disappear once you turn off the machine. This machine is not super heavy, but it is very solid. You won’t feel any vibrations while this machine is in operation. All the patterns come out good. The machine will beep an alarm once it is finished. There is nothing to worry about the performance of PE540D as it is built on the platform of good old PE500, which on itself was a wonderful embroidery machine.